I haven’t posted for a while, sorry about that! Looks like it’s because I’ve been blogging quite a fair bit for work so I don’t have the drive to blog for my own blog anymore. It has to change though. 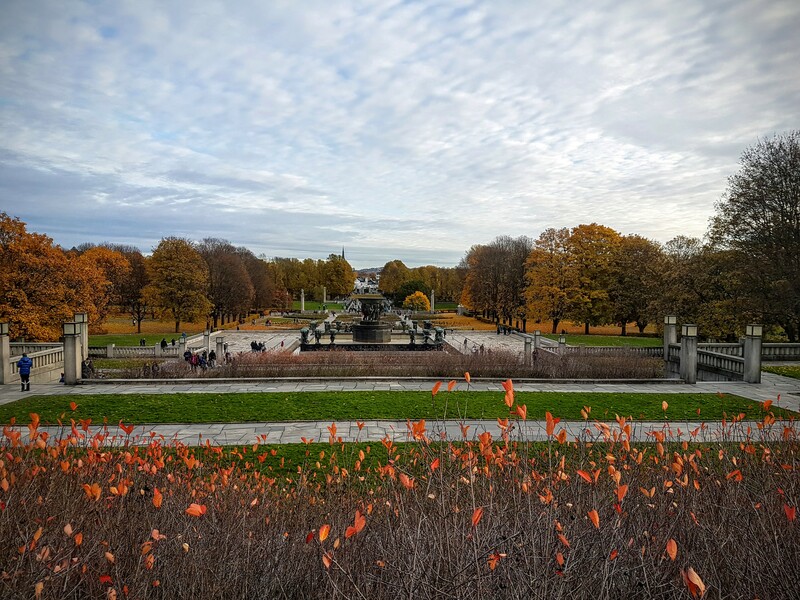 So let’s start with amazing pictures of Oslo in Autumn with yellow and orange leaves. As if trees were celebrating Halloween too! Vigeland Park or Frognerparken is one of the city’s key landmarks with fully loaded buses and coaches offloading tourists (mainly Asian) so hey can have a walk, a feel of the nature changing colors with each seasons and most importantly take picture of the 212 bronze and granite sculptures donated by Gustav Vigeland between 1924 and 1943. 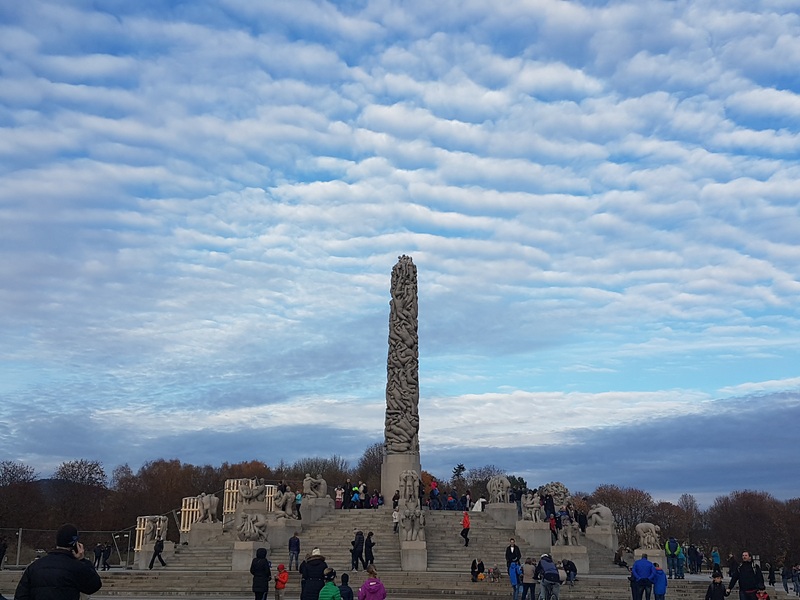 More trivia about Gustav Vigeland? He also is the designer of the Nobel Prize medal. On a Sunday you see lots of families going for a walk. Shops are closed on Sunday in Oslo so people “gå på tur”, they go out. We see lots of grandparents taking their grandchildren out, babies even. We see big snuggly dogs, we see fit people running. 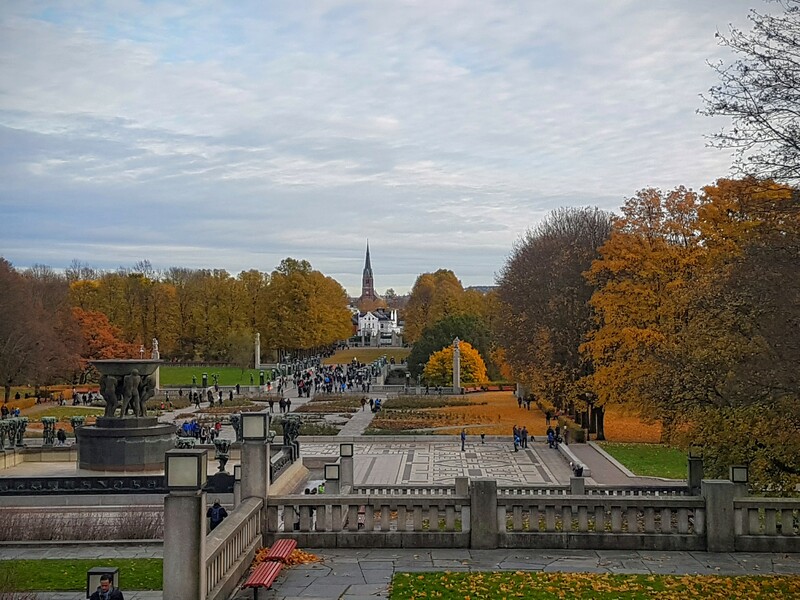 What’s different this October vs last year’s October in Oslo? Herds of kids running around with their phone trying to catch Pokémons! The launch of the game last summer had a massive impact on the city’s landscape. More than in Paris, London or Santa Monica we see pedestrians playing. I’d say 1/3 Norwegians I walk by play. 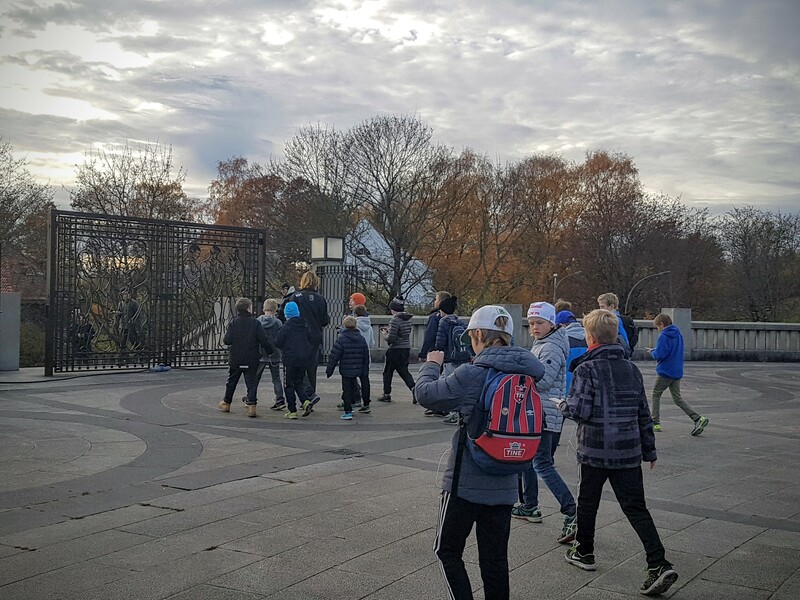 At Vigeland park it would be 9/10 as there are dozens of Pokéstops, a couple of gyms and people placing lure modules everywhere. Social groups and what it seems like Tween kids led by an older teenager are organising hunts in the park. 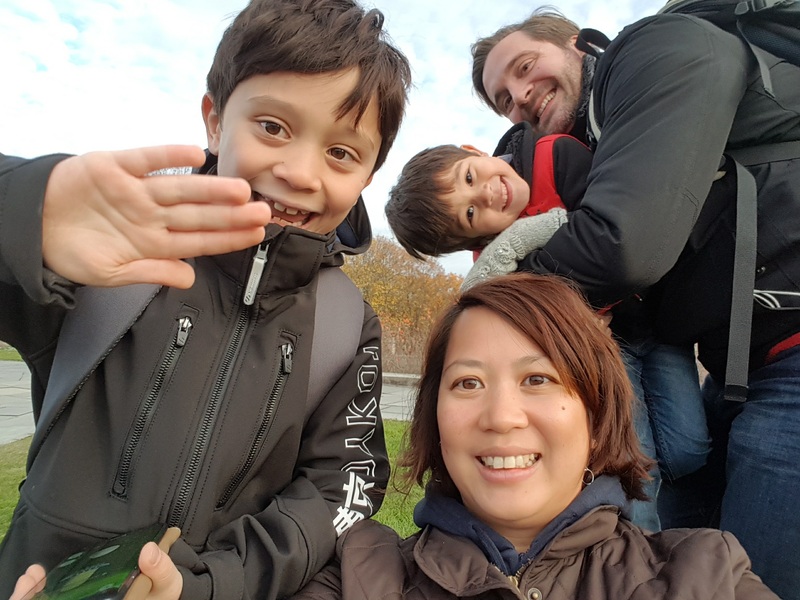 Parents play too, you can find them by the playground area while the kids climb and go down slides! 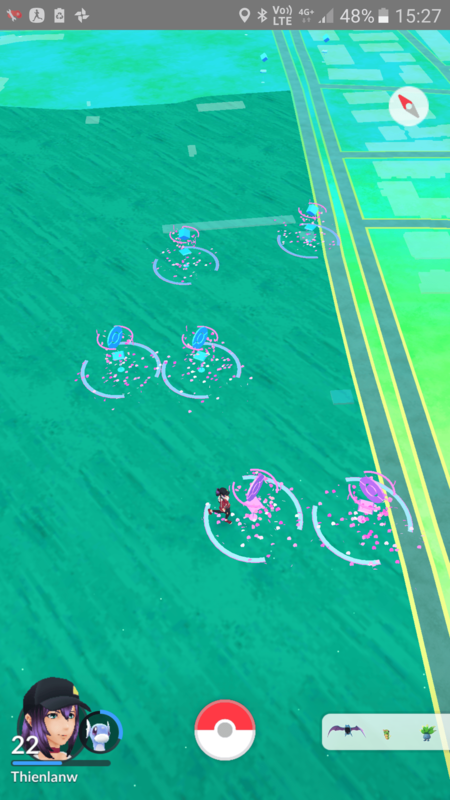 The playground is between the 2 pairs of Pokestops. Today is daylight saving so the sunsets on hour early that makes it around 4.30pm. Sad! But at least the sun will be up as I wake up! 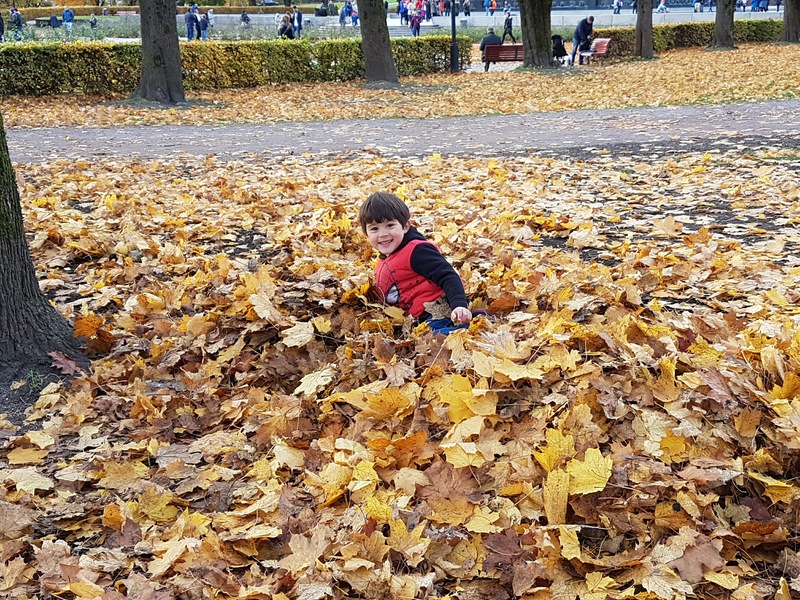 That was the biggest discovery we made last year on our first Autumn in Oslo. May and June in Oslo October in Oslo, Norway Kids in Oslo: Sognsvann Lake Can you text and walk in Oslo? Previous article Why is Hos Thea the best restaurant in Oslo according to TripAdvisor?